Computer architecture is going to change in the coming decade because today’s architecture has severe limitations in energy efficiency and latency for memory access .The adoption of Flash in the memory hierarchy (albeit on a separate chip from the processor) inspired the exploration of computing architectures that capitalize on the salient features of Flash: non-volatility and high density. At the same time, new types of non-volatile memory have emerged that can easily be integrated on-chip with the microprocessor cores because they use a different set of materials and require different device fabrication technologies from Flash. Some of them can be programmed and read quickly; others can have very high data storage density. Importantly, all of these memories are free from the limitations of Flash (low endurance, need for high voltage supply, slow write speed and cumbersome erase procedure) and DRAM – both Flash and DRAM require high temperature processes for device fabrication and is thus difficult to integrate with logic monolithically in 3D. I will give an overview  of the “new” memory technologies that are being explored currently in industry and in academia: spin-transfer torque magnetic memory, resistive switching metal oxide memory , conductive bridge memory, phase change memory . I will go over the fabrication process, essential device characteristics, and potential applications. To facilitate a connection with circuit designers, a compact model for RRAM has been developed and made available to the public. I will describe our efforts to explore device size scaling below 10 nm as well as 3D stacking of RRAM and the use of nanomaterials such as graphene in RRAM and PCM devices.Work supported in part by STARnet SONIC, IARPA, SRC/GRC, NSF, and member companies of the Stanford Non-Volatile Memory Technology Research Initiative (NMTRI) and Stanford SystemX Alliance. H.-S. Philip Wong is the Willard R. and Inez Kerr Bell Professor in the School of Engineering. He joined Stanford University as Professor of Electrical Engineering in September, 2004. From 1988 to 2004, he was with the IBM T.J. Watson Research Center. At IBM, he held various positions from Research Staff Member to Manager and Senior Manager. While he was Senior Manager, he had the responsibility of shaping and executing IBM’s strategy on nanoscale science and technology as well as exploratory silicon devices and semiconductor technology. Professor Wong’s research aims at translating discoveries in science into practical technologies. His works have contributed to advancements in nanoscale science and technology, semiconductor technology, solid-state devices, and electronic imaging. He is a Fellow of the IEEE. He served as the Editor-in-Chief of the IEEE Transactions on Nanotechnology in 2005 – 2006, sub-committee Chair of the ISSCC (2003 – 2004), General Chair of the IEDM (2007), and is currently the Chair of the IEEE Executive Committee of the Symposia of VLSI Technology and Circuits. He is the founding Faculty Co-Director of the Stanford SystemX Alliance – an industrial affiliate program focused on building systems. Resistive switching random access memory based on the redox-induced conductivity change in oxide-electrolyte insulator has attracted extensive attention as a new technology for nonvolatile memory, analog circuits and neuromorphic applications due to its simple structure, excellent scalability and outstanding performances. The typical structure of oxide-electrolyte-based RRAM is comprised of an oxide-electrolyte insulator sandwiched between an electrochemical active electrode (i.e. Cu or Ag) and an inert electrode (i. e. Pt or W). The resistance of the device can switch between high resistive state (HRS) and low resistive state (LRS) under electrical stimulus because the diffusion of cation (i.e., Cu2+ or Ag+) and the corresponding oxidation/reduction reactions can dominate the growth/dissolution process of the nanoscale conductive filament (CF) inside the oxide-electrolyte layer . Understanding and controllability of the CF growth/dissolution processes will help to guide the improvement of oxide-electrolyte-based RRAM performance and reliability. In this talk, we will present our recent progress of the studies on the reliability degradation mechanism and how to improve the device reliability by optimizing programming schemes and designing ion-blocking layer. Ming Liu received the B.S. and M.S. degrees in semiconductor physics and device from Hefei Polytechnic University, Hefei, China, in 1985 and 1988, respectively, and the Ph.D. degree in microelectronics from Beijing University of Aeronautics and Astronauts, China, in 1998. From 1998 to 1999, she was a Postdoctoral Scholar in the Chinese Academy of Sciences (CAS). She joined the Institute of Microelectronics, CAS, in 2000. 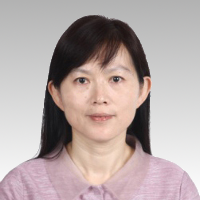 She is currently the Director of the Key Laboratory of Nanofabrication and Novel Devices Integration Technology and the Key Laboratory of Microelectronics Devices and Integrated Technology. In 2015, she was selected as an Academician of Chinese Academy of Sciences. Her research interests are non-volatile memory, from materials, structure, processing, model and design; nanofabrication, molecular electronics. Replacing the metal top electrode of a RRAM device with a liquid electrolyte contact is a useful approach to study conductivity switching and its relation to local oxygen oxygen deficiency in the active layer. In this study, local variations in electrical conductivity in amorphous TiO2 films prepared by atomic layer deposition (ALD) are examined using conductive atomic force microscopy. The local TiO2 conductivity is correlated with changes in oxygen stoichiometry revealed by electron energy loss spectroscopy performed in the electron microscope and by oxygen isotope tracer exchange. Both highly resistive ionic liquids and highly conductive electrolyte solutions are used as liquid top contacts to the TiO2 layers. In this way, the effects of field-driven electromigration of oxygen ions in and out of the TiO2 film can be distinguished from local accumulation of oxygen vacancies via Joule heating at high programming currents. We find that gating using a resistive ionic liquid contact at room temperature and positive gate bias produces an oxygen deficient ALD-TiO2 film with enhanced electronic conductivity, demonstrating the ease with which field-driven oxygen vacancy formation occurs in these thin amorphous layers. However, conductive filaments form only when the TiO2 is programmed using a low-resistivity electrolyte top contact. This is consistent with the decisive importance of programming current in localization of the point defects required for filamentary conduction. Paul McIntyre is Rick and Melinda Reed Professor in the School of Engineering, Department Chair of Materials Science and Engineering and Senior Fellow of the Precourt Institute for Energy at Stanford University. McIntyre leads a research team of approximately twelve graduate students, post-doctoral researchers, visiting scientists and consulting professors who perform basic research on nanostructured inorganic materials for applications in electronics and energy technologies. He is best known for his work on metal oxide/semiconductor interfaces, ultrathin metal oxide films, atomic layer deposition, and semiconductor nanowires. His research team synthesizes materials, characterizes their structures and compositions with a variety of advanced microscopies and spectroscopies, studies the passivation of their interfaces, and measures functional properties of devices. Their research is supported by several U.S. government agencies and major semiconductor manufacturers world-wide. McIntyre is an author of ~200 archival journal papers and inventor of 8 US patents, and has given over 100 invited presentations, plenary talks and tutorial lectures. He has received two IBM Faculty Awards, a Charles Lee Powell Foundation Faculty Scholarship and an SRC Inventor Recognition award. McIntyre was a GCEP Distinguished Lecturer in 2010 and received the Woody White Award of the Materials Research Society in 2011. Exponential growth of the semiconductor industry, historically driven by transistor scaling, is now facing fundamental challenges. RRAM, with naturally merges electronics with ionics, offers potential for future memory and computing applications. I will discuss our efforts on the development and optimization of RRAM devices and integrated systems, including techniques of controlling the dynamic ionic migration processes and associated modeling efforts. Detailed TEM studies have been carried out to capture the ionic migration process and verify the switching mechanism. Functional high-density crossbar arrays have been integrated directly on top of CMOS circuits using a back-end-of-line (BEOL) process, enabling hybrid non-volatile memory and reconfigurable circuit applications. Properly tuned devices also exhibit incremental conductance changes that make them well suited for hardware-based, bio-inspired neuromorphic logic systems. Prototype neuromorphic circuits based on RRAM arrays have been shown to be able to perform tasks such as pattern recognition in an unsupervised fashion for intelligent sensing, analysis and other data-intensive applications. Wei Lu is an associate professor at the Electrical Engineering and Computer Science Department at the University of Michigan – Ann Arbor, and co-founder and Chief Scientist of Crossbar Inc. He received B.S. degree in physics from Tsinghua University, Beijing, China, in 1996, and Ph.D. in physics from Rice University, Houston, TX in 2003. From 2003 to 2005, he was a postdoctoral research fellow at Harvard University, Cambridge, Massachusetts. He joined the faculty of the University of Michigan in 2005. His research interest includes highdensity memory based on two-terminal resistive switches (RRAM), memristor-based neuromorphic circuits, aggressively scaled nanowire transistors, and electrical transport in low-dimensional systems. 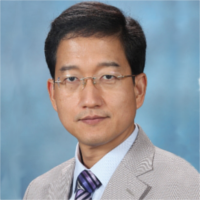 To date Prof. Lu has published over 80 journal papers with over 12,000 citations. 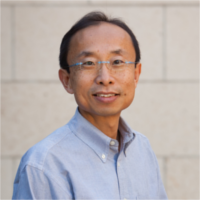 Prof. Lu is an associate editor for Nanoscale, and a member of the International Technology Roadmap for Semiconductors (ITRS). Crossbar Inc., founded in 2010, is a startup company based in Silicon Valley developing and commercializing RRAM technologies. Crossbar Inc. currently has over 50 employees and has received $85M VC funding to date. In this seminar I will present our recent progress on 2D (layered) insulators, with special emphasis on hexagonal boron nitride (h-BN). By combining device level and nanoscale experiments with theoretical modeling we observe that h-BN is much more reliable than HfO2 as dielectric when subjected to electrical fields, which may be very useful to enlarge the lifetime of logic electronic devices. The dielectric breakdown process of h-BN doesn't follow the well-known percolation model established for 3D dielectrics because the speed of defect formation is anisotropic, due to the different atomic interactions in-plane (covalent) and out-of-plane (van der Waals). More interestingly, h-BN shows the exciting capability of tuning its electrical resistance when subjected to specific electrical stresses, a phenomenon called resistive switching (RS) that can be used to fabricate cutting-edge NVMs, namely resistive random access memories (RRAM). I will present an entire family of h-BN based RRAM devices with forming-free bipolar and threshold operation, low switching voltages down to 0.4V, high current on/off ratios up to 106, long retention times above 10 hours and striking low variability. The switching mechanism, which is based on the simultaneous generation of B vacancies and penetration of metallic ions from adjacent electrodes, will be discussed. I will also show how to tune the properties of h-BN based RRAM devices by following three different approaches: i) h-BN thickness modification, ii) h-BN grain size modification and iii) graphene interfacial electrode insertion. I will make special emphasis on the use of scalable methods for the fabrication of the devices. Mario Lanza is a Young 1000 Talent professor at the Institute of Functional Nano & Soft Materials of Soochow University, the fastest growing university in the world in 2015-2016 according to Nature Index. Dr. Lanza got his PhD in Electronics in 2010 at Universitat Autonoma de Barcelona. During the PhD he was a visiting scholar at The University of Manchester (UK) and Infineon Technologies (Germany). In 2010-2011 he did a postdoc at Peking University, and in 2012-2013 he was a Marie Curie fellow at Stanford University. Dr. Lanza has published over 55 papers, including Science and Advanced Materials, edited an entire book for Wiley-VCH and registered four patents. He is member of the advisory board of Scientific Reports (Nature) and Crystal Research and Technology (Wiley-VCH), as well member of the technical committee of several international conferences. His research interests focus on the improvement of electronic devices using 2D materials, with special emphasis on 2D (layered) dielectrics and logic memory devices. This talk will focus on emerging atomic materials, notably, non-volatile phenomena in the monolayer limit of layered materials including transitional metal dichalcogenides and hexagonal boron nitride. The unexpected observation defies conventional thinking of the thickness limit of non-volatile effect. Results will be presented to elucidate a mechanism how materials as thin as 0.33nm can afford non-volatile resistance switching of many orders of magnitude without suffering from noticeable leakage while providing good retention and endurance. The talk will conclude with perspective on pressing scientific questions and application development. 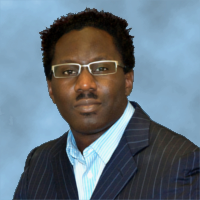 Dr. Deji Akinwande received the PhD degree in Electrical Engineering from Stanford University in 2009, where he conducted research on the synthesis, device physics, and circuit applications of carbon nanotubes and graphene. He is an Endowed Faculty Fellow and Associate Professor at the University of Texas at Austin. Prof. Akinwande has been honored with the 2016 Presidential PECASE award, the inaugural Gordon Moore Inventor Fellow award, the inaugural IEEE Nano Geim and Novoselov Graphene Prize, the IEEE 'Early Career Award' in Nanotechnology, the NSF CAREER award, several DoD Young Investigator awards, the 3M Nontenured Faculty Award, and was a past recipient of fellowships from the Kilby/TI, Ford Foundation, Alfred P. Sloan Foundation, and Stanford DARE Initiative. His recent results on silicene have been featured by nature news, Time magazine and was selected among the top 2015 science stories by Discover magazine. His work on flexible 2D electronics was highlighted among the 'best of 2012' by the nanotechweb news portal and has been featured on MIT's technology review and other technical media outlets. He is a distinguished lecturer of the IEEE Electron Device Society and an Editor for the IEEE Electron Device Letters and Nature NPJ 2D Materials and Applications. He co-authored a textbook on carbon nanotubes and graphene device physics by Cambridge University Press, 2011, and was recently a finalist for the Regents' Outstanding Teaching Award, the highest university teaching award in Texas. Resistive random access memory (RRAM) has gained significant attentions because of its excellent characteristics which are suitable for next-generation nonvolatile memory applications. It is also very attractive to build neuromorphic computing chip based on RRAM cells due to non-volatile and analog properties. Neuromorphic computing hardware technologies using analog weight storage allow the scaling-up of the system size to complete cognitive tasks such as face classification much faster while consuming much lower energy. In this talk, RRAM technology development will be discussed in detail. Neuromorphic computing using RRAM devices was demonstrated and speed & energy consumption were compared with Xeon Phi processor. Dr. Wu is presently the deputy director of the Institute of Microelectronics, Tsinghua University, Beijing, China. Dr. Wu is also served as the deputy director of Beijing Innovation Center for Future Chip (ICFC). Dr. Wu received his Ph.D. degree in electrical engineering from Cornell University, Ithaca, NY, in 2005. Prior to that, he graduated from Tsinghua University, Beijing, China, in 2000 with double B.S. degrees in material science & engineering and enterprise management. From 2006 to 2008, he was a senior engineer in Spansion LLC, Sunnyvale, CA. 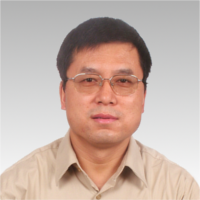 He joined the Institute of Microelectronics, Tsinghua University in 2009 as an associate professor. His research interests include advanced memory and low dimensional nanomaterial and devices. 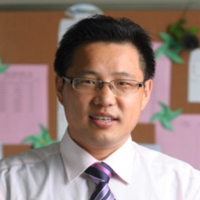 Dr. Wu has published more than 90 technical papers and owns more than 40 patents. Silicon oxide is a promising, if relatively under-studied, material for resistive RAM. It is wholly CMOS compatible and exhibits excellent resistance switching behaviour. In this talk I will review my group’s recent work on SiOx RRAM, concentrating on structural and electrical characterisation of devices, and evaluating the potential for silicon oxide to form the basis of next generation non-volatile memories and other technologies based on resistance switching. I will demonstrate how oxygen segregation and movement underpins field-driven resistance changes in SiOx, and how this leads to the formation of conductive filaments of oxygen vacancies. I will touch on applications for SiOx resistance switching devices in neuromorphic technologies. 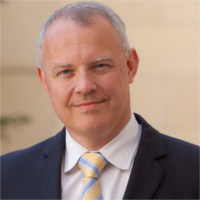 Tony Kenyon is currently the Vice Dean (Research) for the Faculty of Engineering Sciences and Professor of Nanoelectronic & Nanophotonic Materials in the Department of Electronic & Electrical Engineering. His research interests include resistance switching; RRAM; neuromorphic devices; nanostructured materials for electronics and photonics; silicon photonics, and self-assembled nanoscale systems. 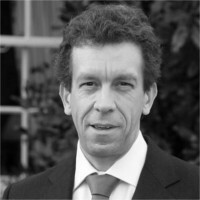 Professor Kenyon is a Fellow of both the Institute of Physics and the IET, a Senior Member of the IEEE, a member of the EPSRC ICT Strategic Advisory Team, and serves on the Executive Committee of the European Materials Research Society. He is the author of more than 90 peer-reviewed publications, and sits on the editorial board of several journals. He regularly gives invited talks at major international meetings, and has co-organised a number of international symposia. Tony is working closely with UCL Business to commercialise his resistance switching research, and is currently setting up a spin-out company (Intrinsic Semiconductor Technology) to develop novel RRAM devices and applications. Tony received a BSc and D.Phil in Chemical Physics from the University of Sussex, Brighton, UK in 1986 and 1992, respectively, and joined UCL shortly afterwards. He was promoted to a Chair in Nanoelectronic & Nanophotonic Materials in 2014. High resolution transmission electron microscope is widely used in the study of various RRAM material systems. In particular in-situ TEM analysis can provide detailed switching mechanisms in real-time. Additional compositional, chemical and structural information of SET and RESET process at the localized spot responsible for switching in RRAM devices can be analyzed by various analytical TEM techniques like EELS and EDS. Recently, scanning probe microscopy (SPM) techniques have also been explored to study oxygen vacancy based RRAM switching with detailed surface, electron energy and tomography information. This talk gives an overview of the latest development of RRAM switching studies enabled by advanced physical analysis techniques like SPM and TEM. 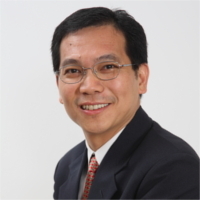 Kin-Leong Pey is currently the Associate Provost (Education) and a Professor at the Singapore University of Technology and Design. Kin-Leong was appointed by the Singapore Ministry of Education to take up the current SUTD position in 2010. He was previously the Head of the Microelectronics Division, Director of the Nanyang NanoFabrication Center and Director of the Microelectronic Centre in the School of EEE at the Nanyang Technological University. A senior member of IEEE and an IEEE Electron Devices Society Distinguished Lecturer, Kin-Leong was the General Chair of IPFA2001, Singapore and the co-General Chair of IPFA2004, Taiwan. Kin Leong is a Fellow of the ASEAN Academy of Engineering & Technology. He is an Editor of IEEE Transactions on Devices and Materials Reliability. 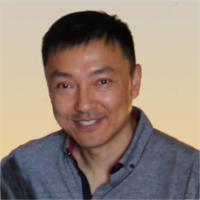 Kin-Leong has published more than 170 international refereed publications, 175 technical papers at international meetings or conferences and 3 book chapters, and holds 38 US patents. Kin-Leong has graduated 30 PhD and more than 15 Master theses. In this work we present a modeling and simulation platform for RRAM devices and materials engineering. The multiscale modeling framework connects the microscopic properties of materials (including atomic defects and interfaces) to the electrical behavior of the device, representing a virtual space for the design and the optimization of novel RRAM devices and selectors. The multiscale simulation platform purposely accounts for either the microscopic interactions between electrons and atomic species (ions, vacancies), and chemical reactions (e.g. bond breaking) (ions, vacancies, dangling bonds). Among the wide number of applications that can be potentially targeted, in this presentation we will present some examples on how to use this simulation-platform to design RRAM devices and selectors based on binary/ternary oxides (HfO2, Al2O3, TiO2, ...) and novel 2D materials (h-BN). Luca Larcher graduated in Electronic Engineering from the University of Padova, Italy, in 1998. In 2001 he was appointed Assistant Professor at the University of Modena and Reggio Emilia, where he is currently Associate Professor of Electronics since the 1st of November 2005. He received his Ph.D. degree in “Information Engineering” from the University of Modena and Reggio Emilia in 2002. He has taught courses covering basic electronics concepts, advanced device and circuit applications, including communication and audio. In the audio field, he is the organizer and the director of the short masters entitled “Sound engineering.” He supervised 8 PhD and 21 Master thesis. His research interests cover three main areas: The first area covers the modeling and characterization of non-volatile memory devices and of physical mechanisms governing the charge transport and degradation in high-k dielectrics. 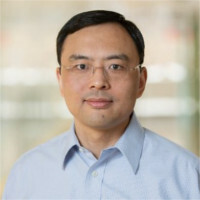 In this area, he has worked on both standard Floating Gate (FG) Flash memory devices (he developed Spice-like compact model and investigated also the ionizing radiation effects on Flash memories), and innovative NVM technologies such as charge trapping memory devices (NROM, SONOS, nanocrystals), PCM and recently resistive-RAM. The second area of research is on the characterization and design of integrated circuits for both communications and energy harvesting applications in CMOS technology. In particular, he has worked mainly on power amplifiers, obtaining circuit solutions with record efficiency and reliability, and on power converter for harvesting energy from ambient energy sources (e.g. solar energy, vibrations and electromagnetic field). The third area of research is dedicated to the research dedicated to the development of advanced audio systems. In this area, he is currently working toward the design of power amplifier using GaN technology, the development of wireless microphones to be used in ANC (Active Noise Compensation) systems, and the development of digital microphones. He has joined and leaded research projects in collaboration with international research centres (CEA-LETI, IMEC, TYNDALL, SEMATECH, POSTECH) and companies (RCF, FBT, ASK, STM, MDLab, COBO, DIECI) supported by regional, national and European programs (ENIAC Mirandela, ENIAC END, NoE Nanofuction, IP GOSSAMER, ISOTRACTOR, ENIAC LAB2MEMS 2). In 2013 he co-founded a company, MDLab, developing and marketing simulation software for electronic devices. He authored and co-authored a book and a chapter in a book, and more than 190 technical papers published on international journals and proceedings of international conferences. 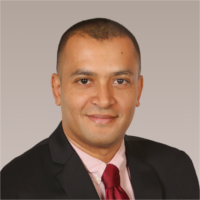 He has joined the technical and executives committees of the IEEE-IEDM (2006-2007, 2013-2015), IEEE-IRPS (2011-2012) and IIRW (2013-2015) conferences. He has received more than 3400 citations and H-factor is 31. Due to the simple structure, fast speed, high endurance, good scalability and low power consumption characteristics, resistive switching memories (or RRAM) have been attracting great amount of attention for novel information applications. Generally, ion transport related filamentary conduction are considered as the primary mechanism for RRAM by both the academic and industrial communities. In this presentation, we summarize our past effort in studying conductive filaments (CFs) as well as the newest results of obtaining quantized conductance through controlling the CF evolution dynamics, which is important for multilevel storage and multi-value logic applications. Finally, we also introduce our recent work on modulating the magnetic properties of resistive switching materials by ion transport approach. Prof. Dr. Run-Wei Li is the director of Key Laboratory of Magnetic Materials and Devices, Chinese Academy of Sciences (CAS), and deputy director of Ningbo Institute of Materials Technology and Engineering (NIMTE), CAS. He obtained his Ph.D. degree from Institute of Physics (IOP), CAS in 2002, then worked in Osaka University, Japan as a JSPS (Japan Society for the Promotion of Science) research fellow, and in Kaiserslautern University, Germany as an AvH (Alexander von Humboldt) research fellow. In 2005, he joined in the International Center for Young Scientists, National Institute for Materials Sciences, Japan as a senior research fellow. He joined in NIMTE as a full professor in 2008, and was promoted to be the deputy director of NIMTE in 2013. Now his research interests focus on flexible functional materials and devices for storage and sensors. He has filed more than 70 patents and published more than 180 papers in peer-reviewed journals. He serves as a referee for over 50 international journals such as: Nat. Nanotech., Nat. Commun., Adv. Mater.and etc. Bipolar resistive switching (RS) in Ag/CeO2-x/La0.8Sr0.2MnO3/CeO2-x/Ag structure has been used to change the resistance along a La0.8Sr0.2MnO3 (LSMO) conductive track in a non-volatile, tunable manner. Our results demonstrate that RS in these devices is homogeneously extended over the 40nm LSMO layer volume and it is not produced by localized conducting filaments (CFs) neither in the CeO2-x layer nor in the LSMO layer. It is proposed that oxygen exchange between the CeO2-x and the LSMO layers drives a metal-insulator transition (MIT) causing RS in these devices. Our results are supported by previous volume RS effects reported in thin (10nm) La0.7Sr0.3MnO3 layers using conductive- Atomic Force Microscopy (c-AFM) [C. Moreno et al, Nano Lett. 10, 3828 (2010)]. Taking advantage of these phenomena, we report the implementation of a three terminal (3T) gate-controlled device in which the current conduction along the LSMO layer connected by two electrodes is modulated by inducing RS using a third ‘gate’ electrode in a non-volatile, tunable manner. Jordi Suñé is professor of electronics at the Universitat Autònoma de Barcelona (UAB) since 2002. IEEE Fellow since 2010 for contributions to the understanding gate oxide breakdown and the development of reliability methodologies. Focusing on the modeling and simulation of electron devices with a multi-scale approach, he has coordinated the NANOCOMP UAB research group for the past 15 years. Recently, he has organized NEUROMORPHICS a multi-disciplinary research group dedicated to the application of neuromorphic electronics towards improved understanding of the human brain processes at multiple scales, to development of alternative computing paradigms based on biomimetic circuits and to their applications to mental health issues. He has (co)authored more than 400 papers, among which 14 IEDM papers, several invited papers and five tutorials on oxide reliability at the IEEE-IRPS (from 2001 to 2009). In 2008 he was honored with the IBM Faculty award, recognizing a fruitful long lasting research collaboration with IBM Microelectronics. In 2010 he received the ICREA ACADEMIA award from the Generalitat de Catalunya. In 2012 and 2013, he was awarded the Chinese Academy of Sciences Professorship for Senior International Scientists for a joint project with the Institute of Microelectronics (IMECAS) on Resistive RAM. His present research interests are: transition metal oxide-based memristors, complex perovskite oxide based memristors, biorealistic compact modeling of memristors for neuromorphic applications, RRAM characterization and modelling, applications of graphene and two-dimensional (2D) materials for resistive switching applications, investigation of the human brain by biomimetic electric-circuit simulation (SPICE) and analog circuits based on the combination of CMOS and memristors. To overcome the intrinsic limitations of von Neumann computing system with information bottleneck between memory and CPU, we need to develop neuromorphic computing system based on hardware artificial neural network (ANN). Hardware ANN system with high density synapse and neuron can perform massive parallel computing which is effective for pattern recognition and clustering of unstructured data. To implement neuromorphic system, we need to develop ideal synapse device with various requirements such as scalability, MLC characteristics, low power operation, data retention, and symmetric potentiation/depression characteristics. Although various devices such as filamentary ReRAM, PRAM, and MRAM were proposed for synapse applications, these devices cannot meet the requirements of synapse device. Using redox reaction at metal/Pr0.7Ca0.3MnO3 interface, we developed analog synapse device. Compared with filament switching device which has intrinsic variability of switching parameters, interface switching device exhibits excellent switching uniformity and area scalability. By controlling the reactivity of metal electrode and oxygen concentration in Pr0.7Ca0.3MnO3, we can modulate the resistance change characteristics under potentiation and depression conditions. We have fabricated wafer-scale high density synapse array device with excellent switching uniformity. By modulating the linearity and symmetry of conductance change, we have estimated the accuracy of pattern recognition of handwritten digits. We found that synapse device with linear and symmetric conductance change exhibits the best accuracy of pattern recognition. We also demonstrated potential application of neuromorphic system for the development of brain-machine interfaces using electroencephalography (EEG) signal. Hyunsang Hwang is a professor in Pohang University of Science and Technology, department of Materials science and Engineering. In 1992, he graduated in Materials Science and Engineering from University of Texas at Austin. He worked as Principal Research Engineer, LG Semiconductor Company, Korea from 1992 to 1997. In 1997 he was appointed as a professor in Dept. of MSE, GIST, during this period, he worked as Visiting Research Professor in Department of Electrical Engineering in Stanford University, USA（2007~2008）and Oak Ridge National Lab., USA in 2002. In 2012 he leaved for Department of MSE in POSTECH as a professor. Until now, he has cultivated 23 Ph.D and 54 Master students, and 14 of them got the best student paper awards. He is author of about 330 journal papers and inventor of 55 international patents. During his career he has given 35 invited presentations, plenary talks and tutorial lectures. He is a Senior Member of IEEE Electron Device Society. He has been member of committees on important conferences such as IEEE International Electron Device Meeting (Memory Technology Program committee 2009, 2010), IEEE Semiconductor Interface Specialists Conf., (Technical Program Committee 2008, 2009, 2010) and International Conf. on Solid State Devices and Materials (program committee 2005-2008, 2011-2014). He also served as Technical Program Co-chair (2012) and Technical Program Vice-chair (2011) of Korean Conference on Semiconductors (KCS) and Chair of Thin Film committee (2009-2011). Publishing has long been a core activity of a researcher but never more so than today. Scientific activities at all levels, from getting a position to receiving grants and even securing departmental funding, are all increasingly measured using publications and citations as a proxy. Whether they agree or not, the successful scientist will adopt a pragmatic attitude and become adept at navigating the seas of peer-review. The first part of the talk aims to be a primer to help early-career scientists do just that. I will discuss good practice in scientific writing from composing a good title to presenting your results attractively. I will also give an overview of the journal portfolio in fields relevant to RRAM and I will discuss how to prepare your manuscript in order to “get past the editor”. Responding to reviewer comments and criticisms is also a key skill needed to avoid unnecessary delays and conflict with your peers in the community. I will discuss here some of the ways you can become better at this and will show some example of what NOT to do. Becoming an outstanding reviewer can also help you become a better author. When you do decide to take on the responsibility of reviewing manuscripts, it is important that you understand what the editor and authors expect of you. I will discuss pee-review from the point of view of the reviewer and give concrete tips on how to improve as a reviewer. The pressure on authors to publish in high impact journals is increasing and has reached levels that are no longer sustainable. This pressure is in part driven by a culture where journal-level impact metrics are used as proxy for the impact of the papers published in the journals. The impact of the paper is assigned to the paper, then this is used to evaluate the authors. It is widely known that this does not make sense and yet this practice persists. In this last part, I discuss bibliometrics, the origin of the impact factor and its intended use and why it is a woefully inadequate metric for evaluating science and scientists. I also give a brief overview of more accurate metrics that better reflect the networked nature of science. Hakim Meskine studied solid state physics at university in Morocco and obtained his PhD in Computational Condensed Matter from the University of Missouri, Columbia in the US in 2005. He completed a post-doc at the Fritz-Haber-Institut der Max-Planck Gesellschaft, Berlin in 2007 where he worked on modelling catalysis using a combination of first-principles calculations and kinetic Monte-Carlo. He also completed a second post-doc in 2010 at the Department of Process and Chemical Engineering at Strathclyde University in Glasgow, Scotland. He then returned to Berlin and began working for Wiley in 2011 as an assistant editor for physica status solidi. He soon after took over the duties of Managing Editor of Crystal Research and Technology and became editor for Laser and Photonic Reviews, Annalen der Physik and later for Advanced Functional Materials. In all these journals, he worked as a peer-review editor where he helped oversee the management of peer-review for submitted and commissioned manuscripts. He is also occasionally invited to give talks on peer-review or publishing-related topics and often travel to scientific conferences as part of my duty to stay abreast of the science published in journals I oversee.In 2013, he successfully helped launch Advanced Materials Interfaces and took over as editor of Advanced Electronic Materials in 2014 as well as joined the editorial teams of Advanced Materials and Advanced Science. Since 2016, he serves as a Deputy Editor for Advanced Functional materials and retains his editorial responsibilities in Advanced Electronic Materials, Advanced Science and Crystal Research and Technology. RRAM-based memory and computing architectures have emerged as the promising candidates of future data storage and computing systems. In this talk, a new computing paradigm based on RRAM cross-bar arrays and the potential applications for future information processing systems such as IOT, Big Data are presented. The critical issues including RRAM arrays integration, realization of RRAM-based computing paradigm, the potential applications are addressed. Jinfeng Kang, received his B.S. degree in physics from Dalian University of Technology in 1984, and M.S. and Ph.D degrees in solid-state electronics from Peking University in 1992 and 1995 respectively. Now he is Full Professor of Electronics Engineering Computer Science School, Peking University and Editor of IEEE Transactions on Electron Devices. His main research interests include nano devices and materials for computing and data storage. He has published over 300 conference and journal papers in such as IEDM, VLSI, IEEE EDL and TED, Adv. Mat., ACS Nano. He was speaker of 20+ invited talks to international conferences, societies, academia, and industry including IEDM, ESSDERC, MRS, SSDM, ASP-DAC. Non-filamentary amorphous-Si/TiO2 (a-VMCO) RRAM is a promising candidate for the next generation memory device, as it features self-rectifying, forming-free, compliance-free, low μA operation, tighter distribution at both high and low resistance states. Its switching and failure mechanisms are not well understood yet. By utilizing our recently developed defect profiling technique based on random-telegraph-noise (RTN), defect profile modulation in TiO2 is observed and directly correlated with resistance switching, and the mechanisms for its breakdown failure and endurance instability have been identified. Under this guidance, device performance has been improved through optimizations of device structure, paving the way for a-VMCO’s practical applications. Weidong Zhang received the Ph.D. degree from Liverpool John Moores University (LJMU), U.K., in 2003. He is currently a professor of nanoelectronics and the leader of the research of memory devices at LJMU. He has led the LJMU’s collaboration with IMEC’s memory device group for the past 10 years. He is the principal investigator and co-investigator of a number of research projects with a total value of more than £2.5 million. 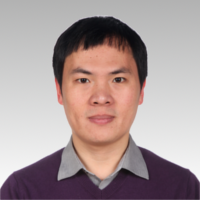 His current research interests include characterization and quality assessment of resistive switching and flash memory devices, CMOS devices based on Si, Ge and III-V materials, and GaN HEMT devices. All of his research outputs are regarded as international excellence by UK government’s Research Excellence Framework (REF) Exercise. The impact of his research is considered ‘significant and on a global scale’ by managers of leading industrial companies, and as ‘an exemplar in terms of the impact of university research on industry’. His work is predominantly published in journals with high ISI impact factors and premier international conferences, including Applied Physics Letters, IEEE Electron Device Letters, IEEE Transactions on Electron Devices. He has co-authored 9 papers in the flagship IEEE International Electron Device Meeting (IEDM), and 6 papers in IEEE Symposium on VLSI Technology (VLSI). Non-Volatile Resistive Memory (NVRM) such as Phase-Change Memory is rapidly increased in maturity in the last decade. The evolving memory hierarchy of the systems and the increasing differentiation of the applications in the market, represent an opportunity for NVRM to become a real breakthrough for the next future technologies. Phase-Change Memory (PCM) provides a wide set of interesting features such as fast read and write access, excellent scalability potential and high endurance, that make this technology enough versatile to meet different applications’ requirements. I will present here how, thanks to material engineering, we made this NVRM technology suitable for high temperature applications. The general trade-off that seems to exist in PCM between the SET speed and the device data retention, makes possible to address Storage Class Memory applications (that require high-speed and endurance), or to address embedded automotive and smartcard applications (requiring high temperature operations and data stability). A back-end-of-line memory solution such as NVRM, can represent a real compromise between performances and cost saving, making it a valid candidate to support or even replace Flash memory in next future memory technology. 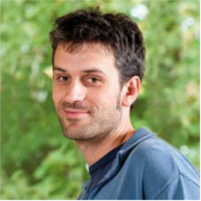 Gabriele Navarro received the Master degree in microelectronic engineering in 2007 and the Laurea degree in Physics in 2009 from the University of Padova (Italy). In 2013, he received the Ph.D. degree in Nanoelectronics from the Polytechnic Institute of Grenoble (France), with a work on the reliability analysis of embedded phase-change memories based on innovative materials. 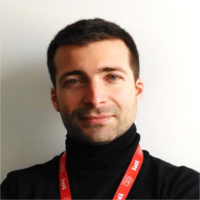 In 2014 he joined the Memory Devices Laboratory of CEA-LETI in Grenoble (France), and his research activities mainly involve the development, the fabrication and the characterization of innovative NVMs. His recent work focused on the reliability improvement of the Phase-Change Memory technology, for both embedded and storage class applications. He is author/coauthor of more than 30 papers published in international journals and presented in international conferences. Memristive systems are an important class of nanoionic devices for future computing applications. Here we show evidence of oxygen ion migration and accumulation in HfO2 by in situ measurements of electrostatic force gradient between the probe and the sample, as systematically verified by the charge duration, oxygen gas eruption and controlled studies utilizing different electrolytes, field directions and environments. At higher voltages, oxygen–deficient nano-filaments are formed, as directly identified employing a CS-corrected transmission electron microscope. We further demonstrate a type of vertical 3-terminal oxide based nanoionic devices capable of implementing heterosynaptic plasticity and nonvolatile Boolean logic simultaneously. We also developed a fuzzy restricted Boltzmann machine network where all the weights states were fuzzified showing significantly improved tolerance to device variations. This study thus provides a new route toward highly robust neuromorphic computing. Yuchao Yang received Ph.D. degree from Tsinghua University, Beijing, China in 2010. After that he joined University of Michigan, Ann Arbor, MI, USA as a postdoctoral Research Fellow and was promoted to Senior Research Fellow in 2013. He is now an Assistant Professor in Institute of Microelectronics, Peking University, Beijing, China. He was a recipient of the '1000 Youth Talents Program' funded by the Chinese government. His research interests span from memristive devices, neuromorphic computing to advanced material characterization techniques. 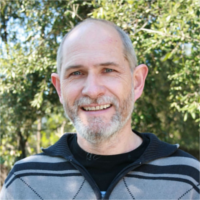 He has published over 40 papers in high-profile journals such as Nature Communications, Advanced Materials, Nano Letters as well as 2 book chapters. His papers have been cited over 2200 times, with an h-index of 22. Prof. Yang is a member of IEEE, MRS, RSC and ACS. RRAM devices are of great interest nowadays for many applications. Not only they can serve as excellent non-volatile memory (NVM) devices, but they can be employed as the building block for logic-in-memory architectures, neuromorphic computing, physical unclonable functions, and random number generators. However, these devices still exhibit a number of issues (e.g. variability). Among them, a rather important one which is seldom addressed is Random Telegraph Noise (RTN). It consists in the abrupt and random switch of the measured current/voltage among (two or more) discrete values. It represents a limiting factor for circuit performance and is observed in a variety of devices, despite differences in materials, concept, and process. Importantly, RTN has a reportedly marked effect in RRAM devices, resulting in very wide fluctuations of the read current. RTN can hence be a detrimental factor for many applications, e.g., causing synaptic weight fluctuations in neuromorphic networks or decreasing the noise margin in NVM arrays. Therefore, it is important to develop appropriate tools to correctly go through the whole ‘value chain’ of RTN, aiming at understanding its origin and behavior. In this talk, we devise a comprehensive methodology that includes a standard set of rules to self-consistently measure, analyze, and interpret RTN features. This methodology is then succesfully applied to the case of HfO2 RRAM devices. Understanding the physics of RTN in these devices allows us developing a compact model for RTN in HfO2 RRAMs. This model can be readily plugged in existing RRAM compact models to allow circuit designers accounting for the detrimental effect of this phenomenon during the design stage. 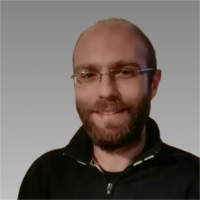 Francesco Maria Puglisi (S’12, M’15) received the Ph.D. degree in Information and Communication Technology in 2015 from University of Modena and Reggio Emilia, Italy, where he is currently a Research Associate and Adjunct Professor. His research activity focuses on the electrical characterization, physical and compact modeling of novel transistors and nonvolatile memories, especially RRAM. Particularly, he is interested in variability, noise issues (especially Random Telegraph Noise), and reliability aspects. 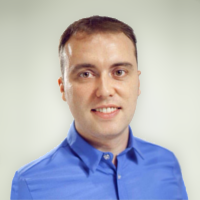 Dr. Puglisi is an IEEE member and authored/co-authored more than 40 technical paper. He currently serves in the Technical Program Committee of IEEE IRPS, IEEE IPFA, and ChinaRRAM. He is the recipient of the Best Student Paper Award at the IEEE ICICDT 2013 Conference, 29-31 May 2013, Pavia, Italy. The well-known Weibull distribution has been widely used to model statistical phenomena, particularly for time-dependent phenomena, since its introduction over half century ago. In many cases, its fundamental validity has not been challenged or questioned due to its simplicity and ease of application. In recent years with technology down-scaling to nano-scale structures, its limitation and inability to capture realistic experimental observations has become evident for researchers and engineers in their daily work. In contrast, studies of yield characterization and prediction have ceased describing spatial statistics with the Poisson distribution in favor of a more generalized mixed Poisson distribution. While several previous attempts were unfruitful, we have pioneered a successful time-dependent (or voltage-dependent) clustering model in replacement of Weibull model. In this talk, after we will review the development of this time-dependent clustering model and its fundamental properties in comparison with Weibull distribution, we will demonstrate a wide range of applications of this clustering model to dielectric breakdown (the forming process in RRAM) in FEOL/MOL/BEOL cases and other RRAM phenomena. 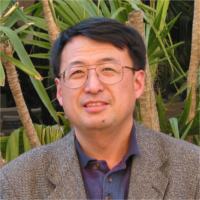 Ernest Y. Wu is a senior technical staff member at IBM Research Division and has been responsible for technology qualification and development of dielectric reliability methodologies since 1995 for many generations of CMOS technologies from 250nm to 7nm nodes including SiO2, high-k, and low-k dielectrics across FEOL/MOL/BEOL applications. He has authored and co-authored more than 150 papers in technical journals and international conferences with numerous invited papers and tutorials including 16 IEDM papers. 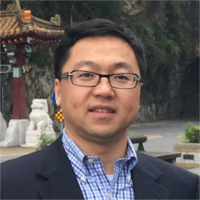 Dr. Wu has served as a committee chair on the device dielectric committee for 2007 and 2015 IRPS, respectively. He is a member of IEDM Reliability subcommittee during 1999-2000 and 2013-2014. In 2004, he received IBM Outstanding Technical Achievement Award for the original work on power-law acceleration model which has been adopted in JEDEC and reliability and widely used in gate dielectric reliability qualification. In 2016, he received two IBM Outstanding Technical Achievement Awards for his contribution to statistics and physics of dielectric breakdown and development of high-k/metal gate technology for high performance CMOS technologies, respectively. In 2016, he was elevated to IEEE Fellow for the contributions to the understanding gate oxide breakdown and methodology development. His research interests include statistics, dielectric reliability physics, device physics and simulation.